CalPak is a California brand that manufactures some pretty affordable luggage. They make everything – from hardshells to rolling duffels, so you’ll be able to find the type of luggage you are looking for within their range. But, as with all affordable luggage, quality is always a concern. And that’s what we’ll mostly be talking about in this review – the quality of certain products, and the overall value for money you get. Obviously you can’t expect these to be as good as some high-end luggage, like Samsonite or Tumi. But are they good enough for the average traveller? Let’s find out together. 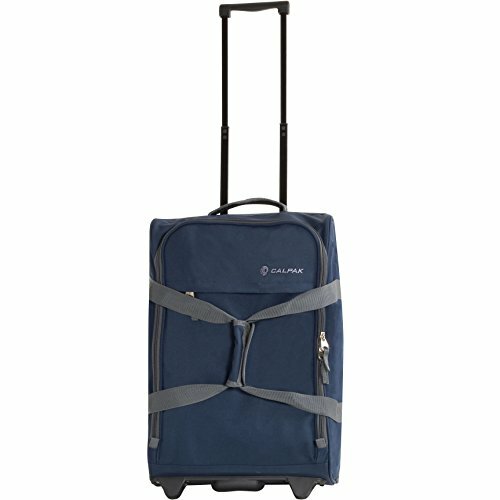 CalPak Luggage: What Are Your Top Options? 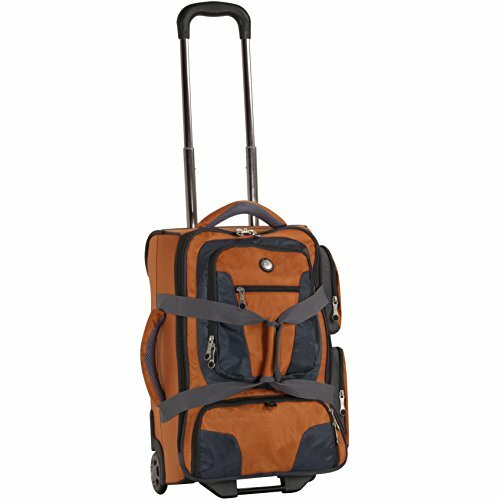 CalPak manufactures lots of different types of luggage – suitcases, backpacks, duffels, overnighters and a few others. We’ll focus on suitcases, backpacks and duffel bags in this review, so if that’s what you’re looking for, then you’re in the right place! But if you’re not sure what the right choice for you is, let me help. I would generally recommend suitcases for people who tend to go on longer trips. Anything longer than a week requires a suitcase, at least in my experience. For air travel, I suggest getting a hardshell suitcase. They are much more durable than softshells, and handle being thrown around a lot better. And considering just how “gentle” baggage handlers can be, you will want a really durable suitcase – especially if you must check it. And for carry ons, you can go either way. I would still recommend a hardside, because there’s always a chance that you will be among the last people to board the plane, and there won’t be any space left for your suitcase. Then you’re forced to check it, even if it’s just a 19” one. Getting a hardside carry on is the safer option. 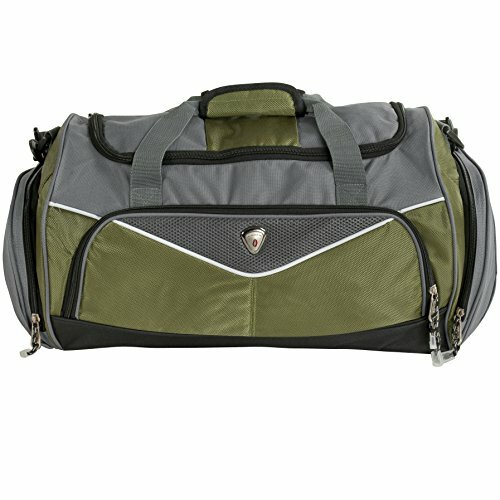 CalPak duffel bags are a great option if you often take the train or drive places. There’s several really good options, including wheeled duffels! You get all the convenience of a suitcase, but with lots of more pockets. That’s one aspect where duffel bags are usually the better choice – they are better for organizing your stuff. I will also show you a couple of rolling backpacks from CalPak. These are another decent option for travel, especially if you are travelling with a lot of tools or equipment. They have multiple compartments and pockets, as well as organizer panels, that allow you to organize everything down to the last detail. However, I would not recommend their packs for everyday use, since they weren’t built for it. Meaning that you will notice the wear and tear sooner rather than later, especially with the wheels. And if you are looking specifically for an everyday backpack, check out a post I did a while back – there’s lots of great and affordable options! A Set Or A Single Suitcase? CalPak does both single suitcases and luggage sets. The latter is actually a little more common, but I will show you both types. So, should you get a single suitcase, or splurge and go for a set? I’d say it mostly depends on your existing luggage collection – if you have 5 different suitcases, I really don’t think you need an entire set. But if your suitcase collection is rather scarce, then getting a set could be really beneficial. You’ll be set for luggage for the next few years, and for the price of an average Samsonite! I generally prefer sets because they are better value for money. Plus, you can always give one of the suitcases away as a present, or sell it for profit, if it turns out you don’t need it. And if you often travel with your partner, you can both match! In this section we’ll check out a few of their regular suitcases, and a few luggage sets. The sets are a great choice if you’re in need of more than one suitcase, or are looking to get a present for someone. On the other hand, the individual suitcases are awesome because they are really affordable, with some of them costing less than $40. Let’s take a look at them. This CalPak luggage set includes two hardshell suitcases. You get a 19” carry on, and a 27” one that you would have to check at an airport. Both suitcases have expandable capacity, so you’ll be able to pack a little more items than you normally would in luggage of this size. In addition to that, there are TSA locks and double spinner wheels on both of them, which are basically a must for a good hardshell suitcase. And generally when you look at the features, these are as good as any high-end piece of luggage. The wheel handle is a retractable telescopic handle, with a push button that allows you to lock it into position. And the top carry handle is cushioned, so even carrying these in your hand will be comfy. Inside the Winton suitcases you get two fully lined packing compartments. The top one is equipped with a zippered divider and a larger pocket, while the bottom compartment features elastic cross straps and a small zippered pocket. Overall they are pretty good suitcases – especially for the price. The Silverlake suitcase is a single piece of luggage by CalPak. It is about 20” tall, so you should be able to use it as a carry on without a problem. It is available in two colors – purple and red. Here’s a tip: if you want save a little over $50, get the red one because it’s currently on sale. 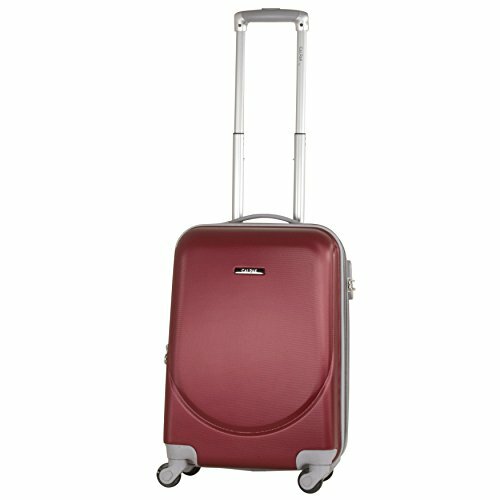 This hardshell is equipped with four single spinner wheels, which will give you great maneuverability of your luggage. And the retractable and telescopic wheel handle will make it easy to wheel the luggage around. The Silverlake also features a combination lock, but it is not TSA friendly. So, if you often travel to and from the US, you might want to consider getting a different suitcase – perhaps the Winton set is a better option for you. There are two packing compartments in this suitcase, one of which features a full-sized zippered divider and a large zippered pocket. The other compartment is equipped with elastic cross straps, and there are no pockets inside it. In addition to that, both are fully lined and the overall capacity of the suitcase is expandable by two inches. The Zorro is a softshell 20” carry on. The actual height of the suitcase (with wheels and handle) is about 21.5”, so definitely check the dimensions that your airline allows in cabin beforehand. Some will accept it without an issue, but others might not as it won’t fit under the seat when completely full. It’s a pretty basic softshell suitcase – it has in-line skate wheels, a telescopic wheel handle and a single packing compartment. There aren’t any pockets inside the suitcase, but there is one on its exterior. Additionally, the handle has its own little zippered compartment where you can store it, so that the suitcase takes up even less space. But the best thing about this suitcase is its price. You can get it for less than $40, which is perfect if you’re looking to get something cheap and quickly. And even if you only use it once or twice, you’ll still get your money’s worth. This is a softshell set from CalPak, and it includes three pieces of luggage. The set features basic luggage sizes – a 20” carry on, and the larger, 24” and 28” suitcases. All of the Sydney suitcases are equipped with the same features and they all have expandable capacity. 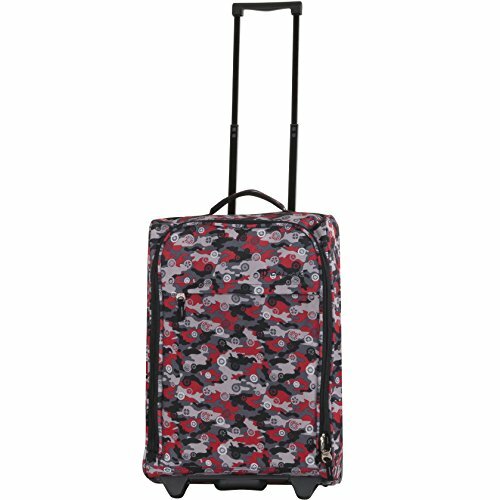 These CalPak suitcases have double spinner wheels, which is pretty rare for softshell luggage. They also have telescopic wheel handles, name tags, two large external pockets and soft, padded carry handles. Overall they look like very good suitcases; the only downside is that only the set is currently available. And with a price tag higher than $500, it is not really as affordable as other CalPak luggage. Unfortunately, no locks are featured on any of these suitcases. The interior of the Sydneys is standard for a softshell – one spacious packing compartment with elastic straps to keep your clothes in place. There’s also a pretty big zippered pocket on the closure flap, as well as a slip pocket below it. Basically, all of that means that you’ll be able to organize your stuff pretty neatly in these suitcases, which is a big bonus for me. The Davis set is a pretty new addition to CalPak’s existing luggage collection. It includes a 19” carry on, a 23” medium suitcase, and a 27” large checked suitcase. Keep in mind that some airlines will treat the 23” suitcase as a carry on as well, Southwest in particular. But that’s something you should always check before packing! The luggage has a ribbed shell, which is great in terms of cosmetic durability. Hardsides get scratched easily, and ribbed shells make those scratches less noticeable. Plus, these suitcases have reinforced bottom corners, which really helps make them sturdier. 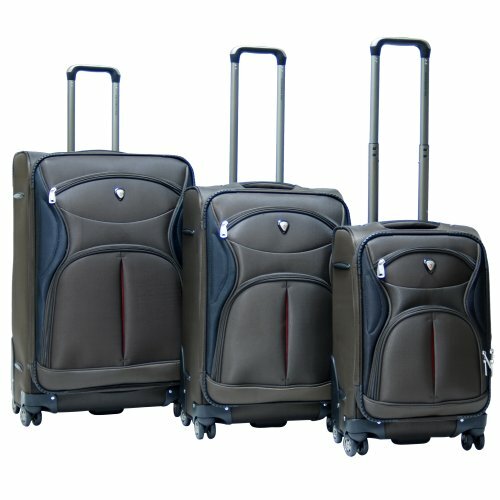 All three suitcases have double spinner wheels and a retractable wheel handle, which makes them super easy to manoeuver. And they feature a TSA lock – a must-have if you often travel to the States. Their interior is divided into two packing compartments. The top one has a clip-on divider with a large zippered pocket, while the bottom one features elastic cross straps and a small pocket. One thing I really like is that the accents inside the packing compartments match the color of the exterior – a nice little detail. Additionally, the capacity of all of these CalPak suitcases can be expended by two inches – perfect for all of you who bring back more things than they left with! CalPak manufactures a lot of duffels, and we have to check out at least a few of them. Some have wheels and wheel handles, while other are pretty standard, overnight duffel bags. Anyway, you can see my top picks below. The Rover duffel is something else. First of all, it looks just like a regular suitcase and not like your old gym duffel. But the carry handles at the front are what clearly differentiates it from a traditional softshell. This CalPak bag is equipped with in-line skate wheels as well as a retractable wheel handle, which means that you can wheel this bag around as much as you like. That’s another way in which the Rover stands out from other duffels. Also you don’t get a shoulder strap with this bag, but I don’t think that’s a big deal. Especially because of the size of the bag – it would be pretty inconvenient to carry it on just one shoulder. Like any other duffel or softshell suitcase, you get one large packing compartment. And there is also a smaller zippered pocket on the very front of the bag, which is great for any items you want to have handy during your trip. The Rover is actually a 20” bag, so you could definitely use it as a carry on. And with the solid blue color costing less than $40, it would be a real shame not to get it. This bag is similar to the Rover in that they are both duffel bags with wheels. But the Front Runner has much more features and it is way more versatile than the other CalPak duffels. First, you get the standard duffel carry handles at the front. Then you also het the in-line skate wheels, along with the retractable wheel handle. But with this bag, you also get hideaway shoulder straps that allow you to carry this thing like a backpack should you need to. Which I think is actually pretty cool and useful. Additionally, this particular CalPak duffel has plenty of external pockets and compartments, which will make it really easy for you to organize all your stuff. And that includes a dedicated shoe compartment. There are also several grab handles on this bag, all of which are padded and pretty comfortable. Overall, this 20” carry on duffel bag is one of the best bags from CalPak. However, its price tag is also significantly higher than some other duffels, so if you were looking to spend less than $100, I’m afraid this is not the right bag for you. Not to be confused with the Silverlake hardshell, this duffel bag is one of their best sellers. You can get it in a ton of different colors, but if you’re looking for the penny-saving option, get the Olive one – it’s under $30. The smaller one is a 22” duffel bag, so you should have no issues using it as a carry on. However, you should always double-check your airline’s carry on requirements, if you want to be sure that you won’t have to pay any additional fees. The bag is also available in a 27” version, but you would have to check that one at an airport. And if you’re not looking at luggage for air travel at all, then all you need to know is that these bags have really large capacities and a million of different pockets. The abundance of pockets is great if you’re looking at a bag to carry equipment in, or even just for an overnighter, as it will help you organize everything. Which is certainly helpful when you’re packing all your electronics, chargers and accessories. One more thing to note about the Silver Lake duffels is that they have self-repairing zippers. Which refers to the fact that if a zipper gets caught, you won’t have to spend half an hour trying to fix it. Additionally, the bag comes with several carry and grab handles, and a really comfortable, padded shoulder strap. The Malibu duffel differs from the previous one mostly because it doesn’t have as many pockets. But it is still a 22” duffel bag that you could comfortably use as a carry on, if that’s what you’re looking for. 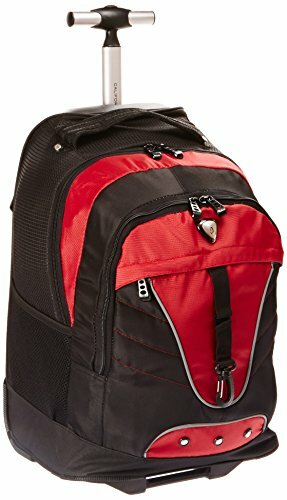 This bag has only three small pockets, which don't allow for great organization. 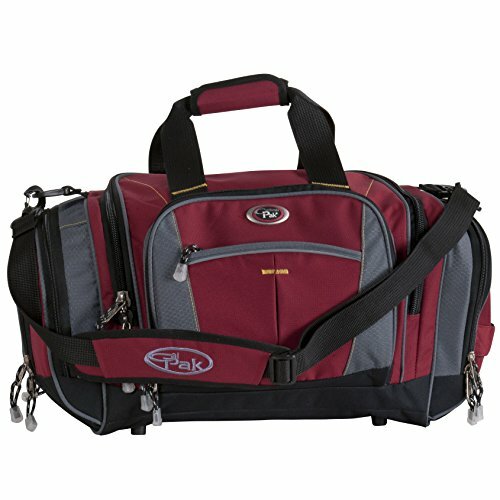 But if you don’t care about organizing your stuff and you prefer to just throw everything inside and be on your way, then that’s not something that’s going to worry you.You would much rather hear about the padded carry handles and the comfortable shoulder strap, which will help you stay comfy when you’re actually carrying this thing. You can get it in two colors, and unfortunately neither one is currently on sale. But not regular backpacks. CalPak actually manufactures a lot of wheeled packs, which are a great option if you want your luggage to be practical to carry around. Let’s check out a couple of those. This CalPak backpack is the perfect size for a carry on. And it has wheels, so you won’t have to carry it on your back the entire time. Some of its features include in-line skate wheels, a single-barrel wheel handle, multiple packing compartments and a laptop sleeve that is supposed to fit 17” laptops. Additionally, the shoulder straps can be zipped up inside of their own compartment, so that they don’t get in the way of the wheels. And the entire back of the Rickster is padded, especially the part with the wheels, so that you can stay comfortable even when you have to wear this. However, I would not suggest this pack for everyday use, as it is not so durable. The quality of the pack is average – it is not disappointing, but it’s not that great either. So, if you were to use it on a daily basis, it would not stand up to the test of time. However, it is a decent choice as an occasional carry-on. The Night Vision pack is similar to the Rickster in that it is also a rolling backpack with a retractable single-barrel handle and multiple packing compartments. The main difference between the two CalPaks is in their size – this one is about two inches smaller, which also means that it has smaller capacity. But they still have the same downside in common – they aren’t built for everyday use. With the Night Vision pack, the issue is that the wheels are pretty small, and the bottom of the pack is going to touch the ground. Now, that’s fine if you’re rolling it around on smooth airport floors, but if you’re dragging it on concrete everyday, expect the bottom part of the pack to get torn. But that also depends on your luck – some people have used this exact pack as a commuter bag for years and had no issues with it. Some other features of the Night Vision include multiple mesh pockets, fully padded back and wheel area and two very wide grab handles. Overall, I would definitely suggest that you get this in the Red version, as it costs half as much as the black one. And the price of the Red mirrors its quality pretty well. Since we checked out quite a few different types of luggage, I’ll try to show you my favorites from each of the section. Let’ start with the suitcases. 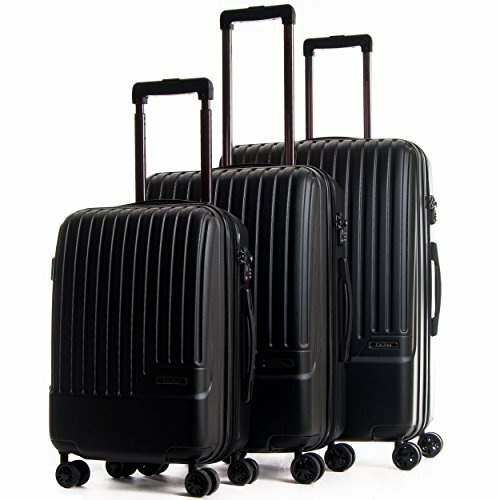 I think that the Winton luggage set is the best value for money you can get. You get two suitcases for the price of a single Samsonite, which is pretty cool. And they are hardshells, so they’re perfect for air travel. But what’s really importanat about these are the spinner wheels, TSA lock and the two spacious packing compartments. If you need to freshen up your luggage collection, this CalPak set is the way to go. 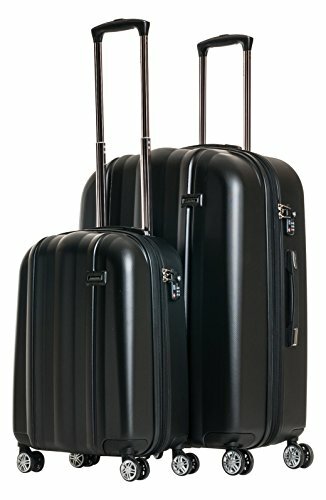 2-PIECE LUGGAGE SET: includes a carry-on friendly luggage and a large 27" luggage. Perfect for short getaways and long vacations! If you desperately need a new softshell, on the other hand, why not go for the Zorro? It’s dirt cheap, so you’ll definitely get your money’s worth even if you use it only once. But with the spacious packing compartment, in-line skate wheels and an external compartment, there is a good chance this will quickly become one of your favorite softshells ever. Or maybe you’re looking to get a duffel bag. In that case, I have to recommend the Silver Lake duffel. It is an amazing piece of luggage, particularly because of its many different pockets. These make it a great choice not just for travel, but also as an overnighter or for daily use. And the comfortable and padded shoulder straps and carry handles will ensure you stay comfortable while this is with you. And finally, if you’re looking for something really outside the box why not get yourself a rolling backpack? They’re very practical and convenient, especially for travel. And they’re small enough to be used as carry-ons, so you could save some money on checked baggage fees. The Rickster is a really great choice if a rolling backpack is up your alley, and it’s pretty affordable. Handle has a drop of 2.5" and a length of 12"
Includes interior back wall zipper pocket and two interior multi-function pockets. Includes two exterior zipper pockets. And that’s it for this detailed review of CalPak luggage. Of course, there are many other options, but these are the ones that are the most popular with other travellers. If you loved anything, be sure to check it out on Amazon – you can always find a deal, especially since half of the luggage in this review is currently on sale!